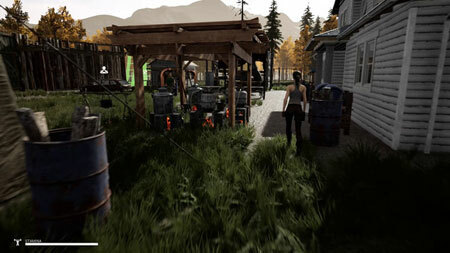 Mist Survival is a single-player, survival stealth sandbox game developed by Rati Wattanakornprasit. You will experience the Apocalypse stimulation in the form of virus pandemic, you have to deal with it to survive through the difficulties such as finding shelter and food, threats from the environment and climate. You will be immune from the virus outbreak and must survive the situation by hoarding food, finding shelter and protecting yourself from wildlife, bandits, and infected. You can also help other survivors and get the survivors to join your camp. You will experience dense mist that can happen at any time. The dense mist environment is accompanied by certain events, such as the infected people come around to find preys. People who are infected and mutated will be able to come out outdoors at night or when there is no sunshine that means they can also hunt players while the fog is covered. If you get stuck in the game, check out the video walkthrough and gameplay for the game. This entry was posted in PC Games, Walkthrough and tagged Mist Survival Cheats, Mist Survival Cutscenes, Mist Survival Endings, Mist Survival Game, Mist Survival Gameplay, Mist Survival Guide, Mist Survival Hints, Mist Survival Jumpscares, Mist Survival Review, Mist Survival Solutions, Mist Survival Strategy, Mist Survival Tips, Mist Survival Walkthrough by Marvin. Bookmark the permalink.